In this ranking, we explore the top 20 MSN online programs for 2015, as determined by our point ranking system described below. The demand for nurses with a Master of Science in Nursing is on the rise. Seven of the top 10 highest paying nurse specialities require an MSN, making it a highly sought after degree for nursing professionals. Nurses with their MSN degree have an increased number of specializations available to them, enabling them to pursue areas of interest more easily. More and more schools are trying to meet this demand by offering MSN online programs so that students can pursue their degree on their own schedule and in their own communities. Among the types of degrees and degree named commonly encountered in this area include those listed below. The Online MSN Program at George Washington University offers many different program options for nurses a bachelors degree to continue their education. Students may participate part-time or full-time. Online coursework is completed using the Blackboard platform. Students should expect to come to campus at least once during the course of their program to fulfill requirements. 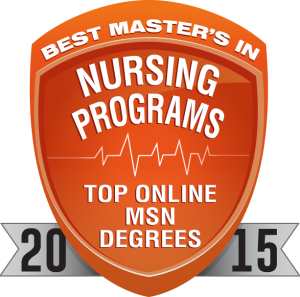 Rush University offers an online MSN for RNs wanting to pursue additional education as a Clinical Nurse Leader (CNL). The program is offered part-time, one course at a time. Students are expected to come on campus during one lab for an on-campus compressed 3-4 day format. Experience is not a prerequisite for this program, allowing those new to the field to apply. The Medical University of South Carolina offers three concentrations leading to an MSN degree. Courses are offered online, but students must attend an onsite orientation the last week of July and must be onsite for 2-3 days during four of their courses (dates are announced in advance). Students can pursue their degree on a full-time or part-time basis and can plan to complete in 2-3 years. The online MSN program at the Medical University of South Carolina is currently ranked the #1 online MSN program according to US News & World Report. 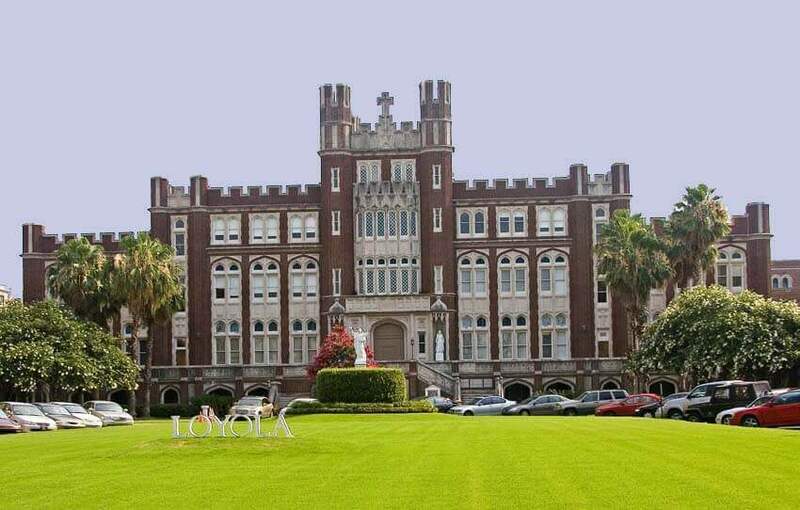 Loyola University-New Orleans offers a MSN degree with a specialization in Health Care Systems Management. Courses are offered in an asynchronous format with each course lasting 7 weeks. Students complete courses one at a time and can complete their degree in approximately two years. The program is 36 credit hours and requires 180 clinical hours. 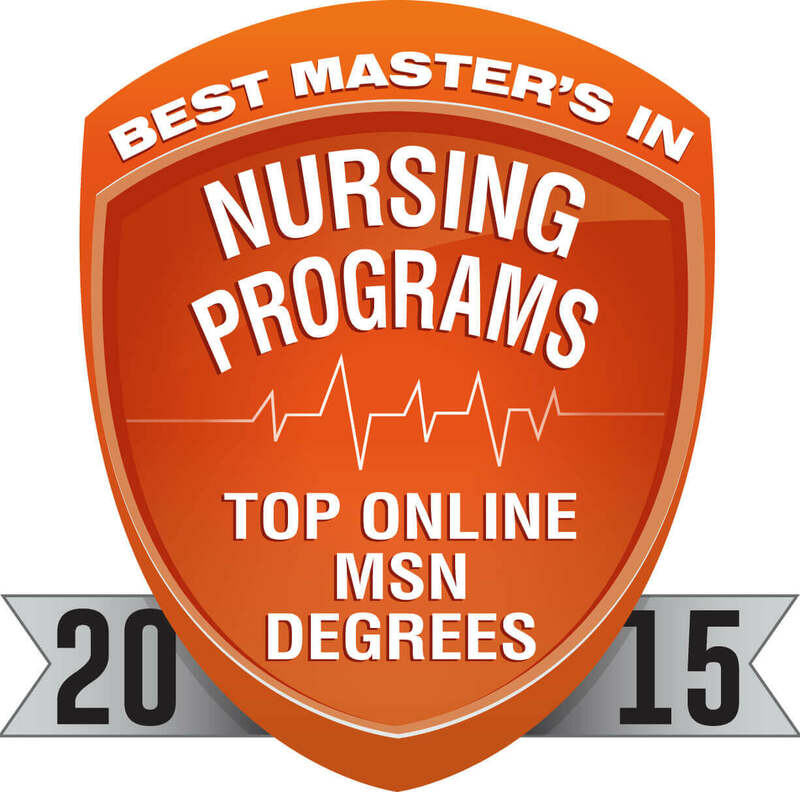 The University of Texas-Tyler offers 2 programs leading to a MSN degree. Both programs require a 112.5 hour practicum. Students can complete their degree on a full-time or part-time basis while continuing to work their existing job. Coursework is completed entirely online. Students have flexibiity in their graduation requirements by choosing to complete a thesis or a scholarly project. 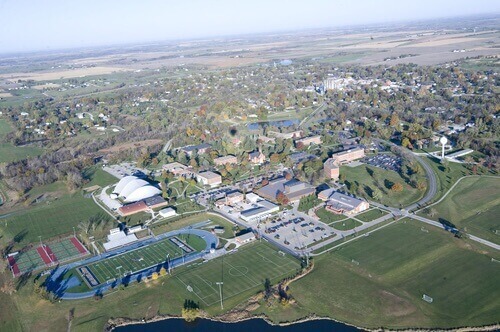 Grace University has two programs leading to a MSN degree. The 47 credit hour Family Nurse Practitioner program can be completed in 8-12 trimesters while the the 40 credit hour Nurse Educator program can be completed in 6-12 trimesters. Students can work toward their degree on a full-time or part-time basis. A 2 day focus session brings students to campus during the Advanced Practice Competency Lab, otherwise all coursework is completed online. Students do need to complete a facultpreceptor-guided practicum in their geographic area. The University of Colorado-Denver offers an MSN degree with a concentration in either Nursing Informatica or Innovation in Leadership and Administration in Nursing and Healthcare Systems (iLead). Both programs can be completed 100% online and take between 2 and 3 years to complete (program must be completed within 5 years). Students in the 30 credit hour iLEAD program can elect to complete an additional 12 credit hours for a specialization in Executive Leadership (post-masters certificate) or an additional 12 hours for a specialization in Healthcare Informatics. 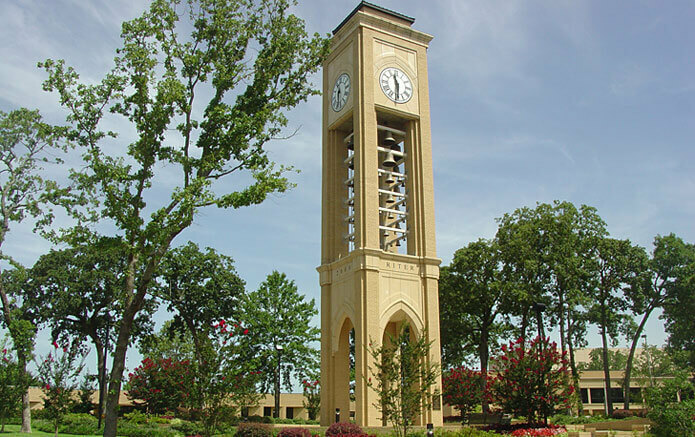 Georgia College and State University offers an online MSN degree with minimal face to face sessions on campus across their three different programs. Programs follow a cohort model and courses are offered both synchronous and asynchronous formats. Programs begin each summer with a week long immersion experience on campus allowing students to become familiar with faculty and peers. The Clinical Nurse Leader MSN degree can be earned on a part-time or full-time basis. The program is 37 credit hours and can be completed in 2 years if pursuing full time and 3-4 years if attending full-time. The program requires a 560 hour practicum that students can complete in their own community. Tuition: $110.00/credit hour+prorated curriculum fee of $1,588 up to 4 credit hours for in-state students. $414.00/credit hour+prorated curriculum fee of $2787.50 up to 4 credit hours for out-of-state students. 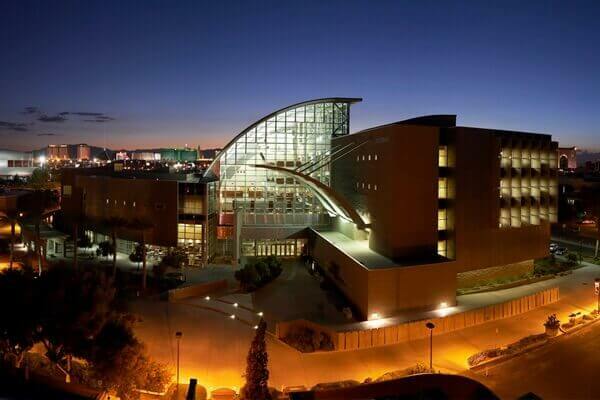 The University of Nevada-Las Vegas has three online programs which lead to the MSN degree. All three programs have on-campus requirements which vary in duration and frequency. Students may participate on a full-time or part-time basis, but must complete their degree within 6 years. 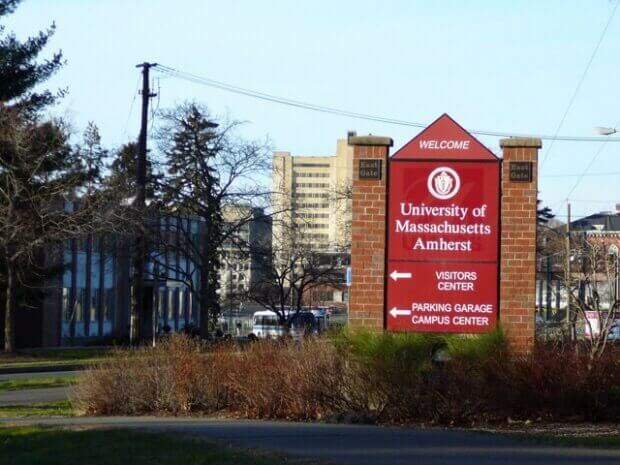 Students who are newly admitted to the program begin in the fall of each school year. Tuition: Tuition is $264.00/credit hour for in-state students, $554.50/credit hour for out-of-state students. An additional charge of $156.75/credit hour is charged for 300-400 level courses and an additional charge of $239.50 is charged for 500-700 level courses. 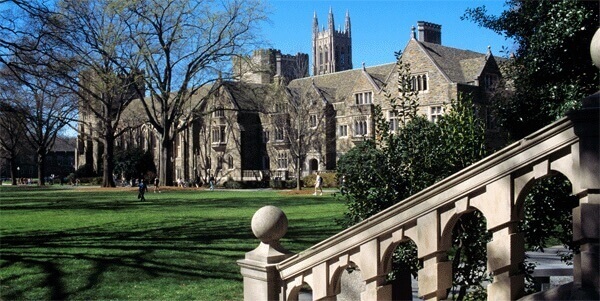 Students pursuing a MSN degree from Duke University have three Distance Based Specialities to select from. Core courses are offered entirely online while speciality courses require students come to campus once or twice a semester. Students can complete their degree on a full-time or part-time basis. Each program has a clinical component that students need to complete. 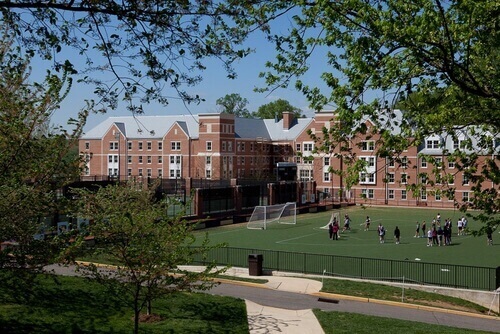 John Hopkins University offers two different programs leading up to the MSN degree. Program options can be completed either full-time or part-time. Courses are offered primarily asynchronous. Students can elect to complete the Nurse Educator Certificate concurrently while pursuing their MSN. The Clinical Nurse Specialist program allows students to select from 3 concentrations to meet their health care population interests. Students interest in both programs can complete the joint Health Systems Management/Clinical Nurse Specialist combination. 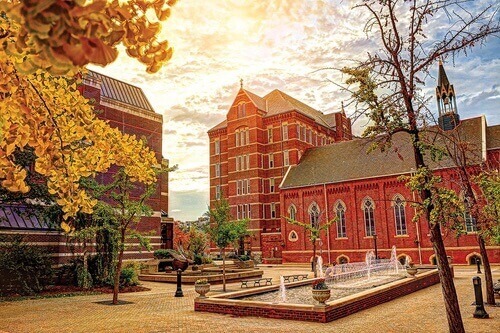 Duquesne University is a top ranked school by The Princeton Reivew and the School of Nursing online MSN degree program is top ranked by U.S. News & World Report. All courses for the three different programs are offered online. Students should expect to come to campus for a mandatory orientation, in addition to individual program on-campus expectations. Students can work toward their degree while enrolled full-time or part-time, but must complete their program of student within 5 years. 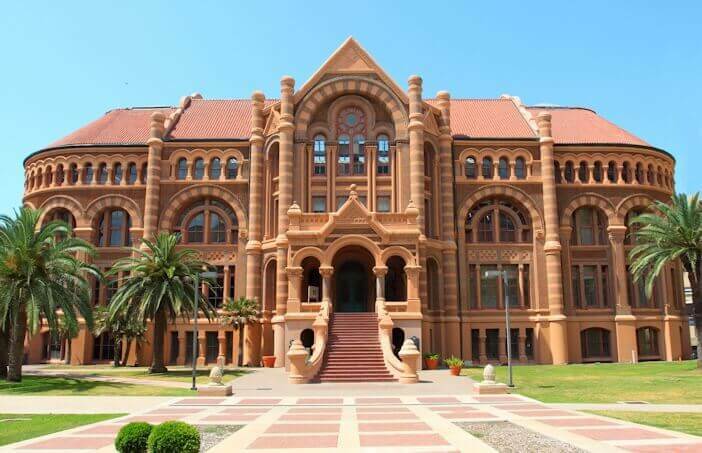 The University of Texas Medical Branch-Galvaston offers 6 program tracks leading to a MSN degree. All tracks can be completed online and require minimal visits to campus. Full-time and part-time study options are available. All tracks have the same seven core courses except the Executive Nurse Leader program. Programs can be completed on a full-time or part-time schedule and the Executive Nurse Leader (ENL) can be completed in as little as one year. 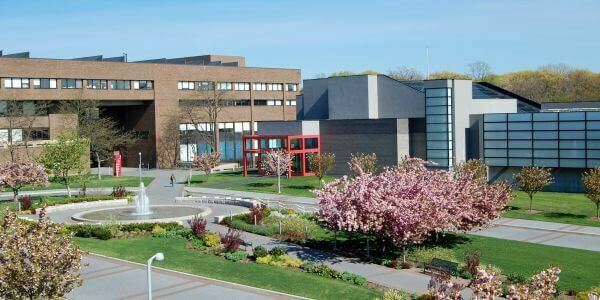 Stony Brook University School of Nursing has a wide array of MSN programs available through distance education with on site requirements. Programs require students to complete between 36 and 45 credit hours and utilize a cohort model. On-site immersions are offered on a scheduled basis and students complete coursework online. 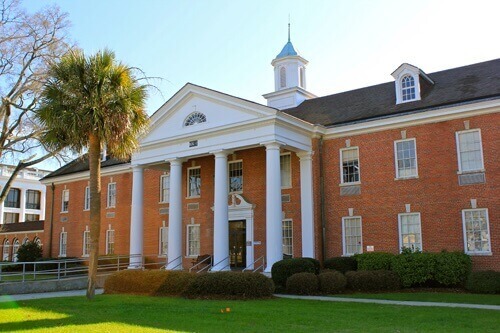 The University of South Carolina offers four different programs leading to the MSN degree. Students can work toward their degree on a full-time or part-time basis, but must complete within 6 years. Courses are offered asynchonously to allow students to study and complete coursework when it is convenient for them to do so. Most coursework can be completed online, but some programs do have campus visit requirements in order to better facilitate learning and meet clinical requirements. 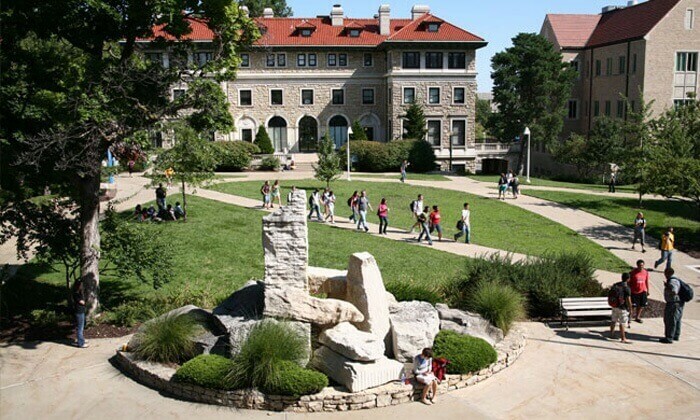 The School of Nursing and Health Studies at the University of Missouri-Kansas City has three different programs leading to the MSN degree including the Psychiatric Mental Health Nurse Practitioner, the Neonatal Nurse Practitioner, and the Nurse Educator. All three programs require minimal onsite visits. Programs can be completed by taking 41-45 credit hours (depending on the program). Programs are offered both full-time and part-time to allow students flexibility and the opportunity to balance the demands of life, school and work. 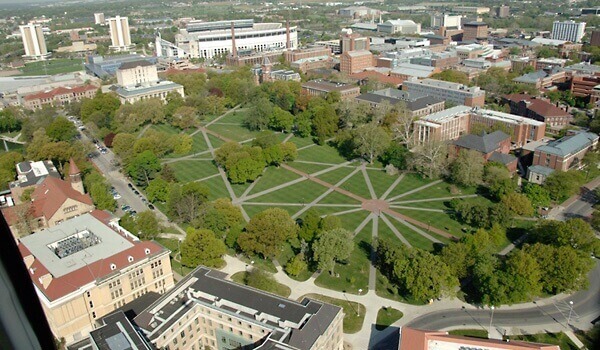 Ohio State University has three programs leading to a Masters of Science in Nursing. Students can complete each of the programs either part-time or full-time and complete their studies in 2-3 years. All programs require clinical hours which can be completed at pre-arranged locations close to their home (if available). The Neonatoal Nurse Practitioner program requires students have 2 years of full-time work experience in a neonatal intensive care unit prior to starting clinicals. 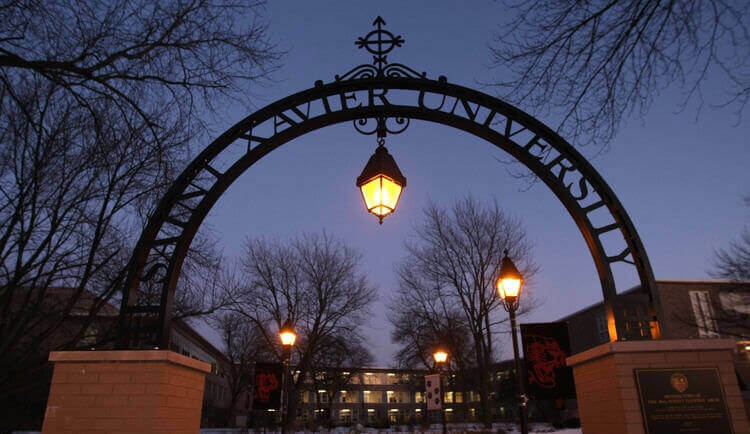 St. Xavier University is the only school iin Illinois to be designated a Center of Excellence in Nursing Education. Students can select from two concentrations leading to the MSN degree. Coursework can be completed online as the program is designed to be flexible to provide work/home/school balance. The Nursing Executive Leadership track requires a 3-day on-campus experience approximately halfway through the program. The College of Nursing at East Carolina University offers 5 program tracks which can be completed online. Students can take advantage of full-time and part-time program options. Programs require minimal campus visits and the Nursing Leadership program can be completed 100% online. The Nursing Leadership program offers 3 different specialities including Leadership in Acute Care Health Systems, Leadership in Community Based Health Systesm or Leadership in Health Care Educational Systems. The Nurse Midwifery program is an option for students living in North or South Carolina. Click here for a high resolution version of the award badge for this article, for use in your promotion or publications. Kelley Jacobs is a midwest business consultant and former program evaluator. Her experience includes qualitative and quantitative reaseach, survey development and statistical analysis. With 15 years in social service, Kelley is passionate about helping others and giving back to the community.